Interstitial cystitis (IC) is a chronic condition that causes bladder pressure, bladder pain, and, in some cases, pelvic pain. Oftentimes, it is referred to as “painful bladder syndrome,” as the pain associated with IC can range anywhere from mild to severe. Interstitial cystitis can cause a persistent, urgent need to urinate with frequent urination of small amounts throughout the day and night. Patients will commonly experience flares and remissions of their symptoms. There are many different theories as to the causes of IC. The most common theory is a bladder lining abnormality. Other theories suggest that interstitial cystitis may be a result of inflammatory cells or an autoimmune condition. Interstitial cystitis is a diagnosis of exclusion. Other causes of the pain and voiding dysfunction need to be investigated. Your evaluation will include urinalysis, pelvic exam, evaluation of you emptying, possible imaging, and cystoscopy. Unfortunately, there is no known cure for IC. The goal for treatment is to reduce the frequency and severity of the flares. Dietary products are the most common triggers if IC flares. Many women can have great improvement and reduction of the symptoms with dietary modification. Some frequently suggested dietary modifications include limiting caffeine, alcohol, citrus, spicy foods, and more. Typically, an elimination diet is recommended to discover which foods irritate your bladder. Certain medications may be beneficial for the relief of your symptoms. You may be prescribed medication if your provider at Urology Care P.C. thinks it will be appropriate for your individual needs. 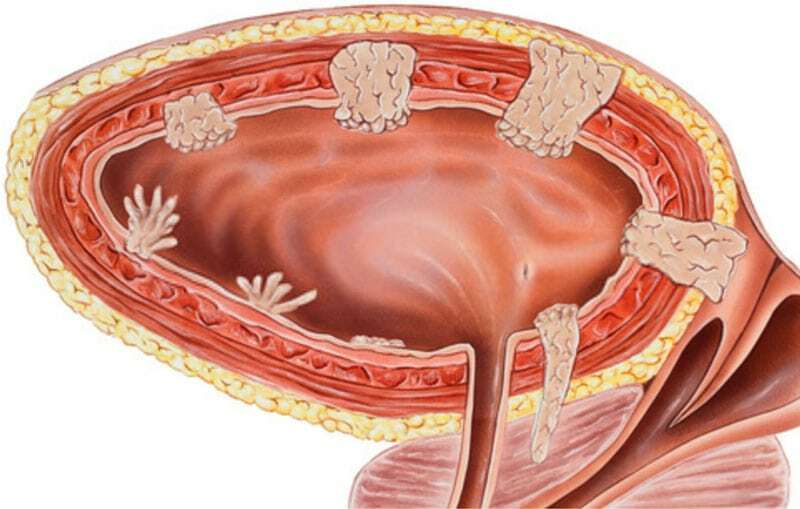 Bladder instillation for interstitial cystitis is an office procedure during which a catheter is first inserted into the bladder, and a medication is infused through it so that it can coat your bladder lining. The catheter will then be removed, and you will be asked to hold the solution in your bladder as long as comfortably possible. It is usual to have an initial series of six weekly installations. Patients who gain relief of their symptoms may then choose to have monthly maintenance treatments. When bladder or pelvic pain disrupts your quality of life, our team at Urology Care P.C. is here to provide you with high-quality personalized care to ensure your long-term success. Our expert providers will evaluate you and create a personalized comprehensive treatment plan.